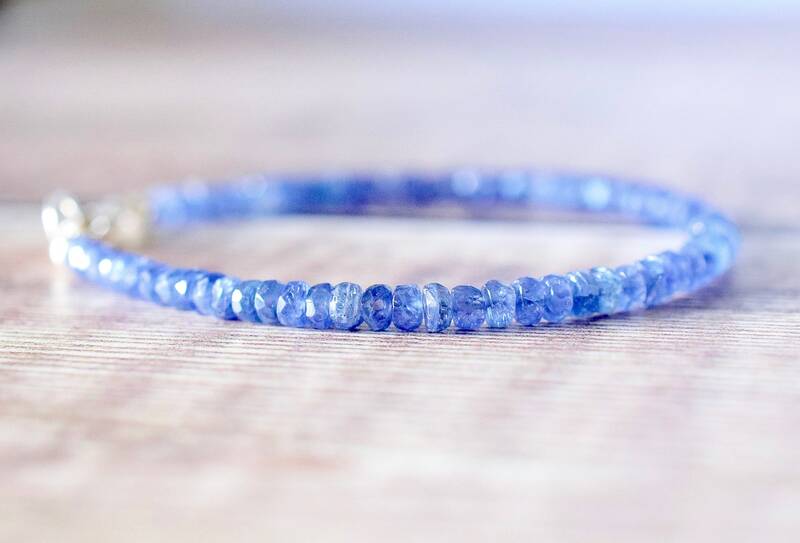 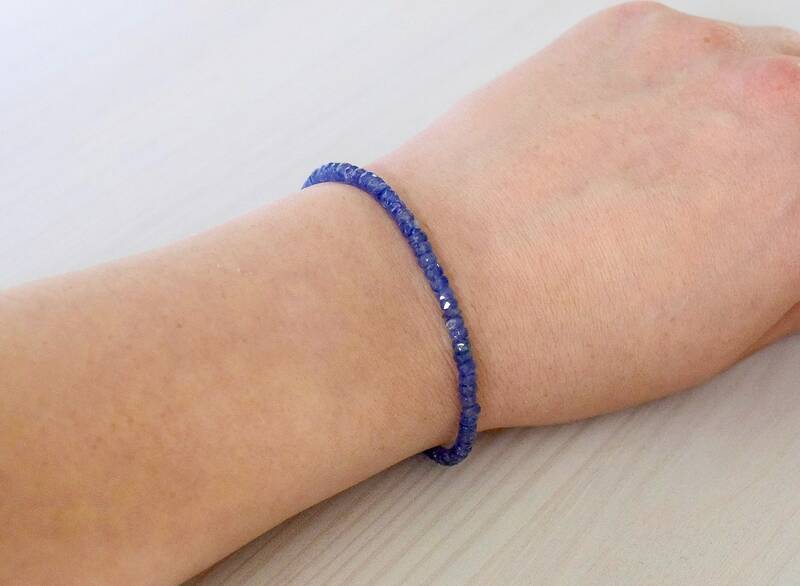 A dazzling Sapphire bracelet designed with natural, Earth mined Burmese gemstones in a vibrant shade of medium blue. 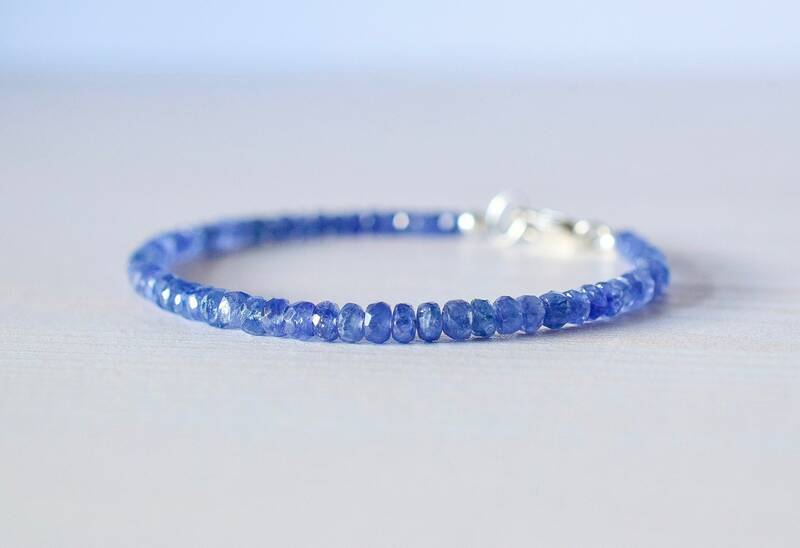 The Sapphires have a fine polish making them wonderfully sparkly. 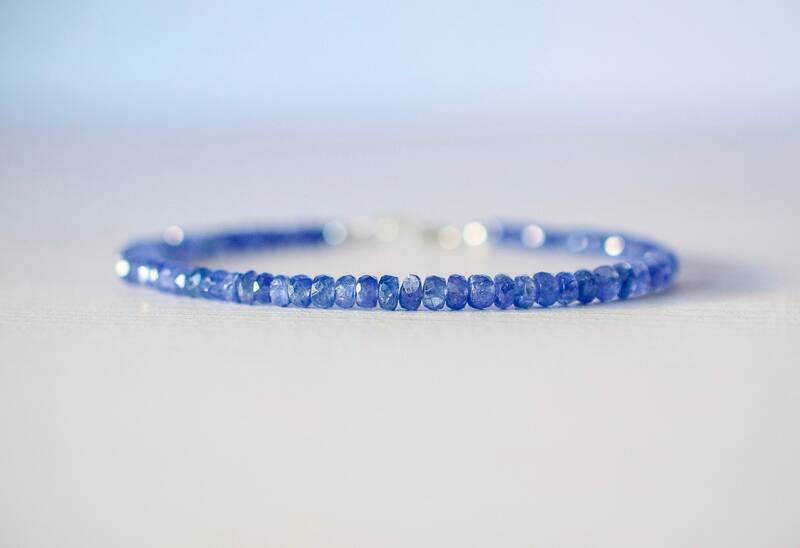 * Sapphires are the symbol of the 45th Wedding Anniversary & are a birthstone for September. 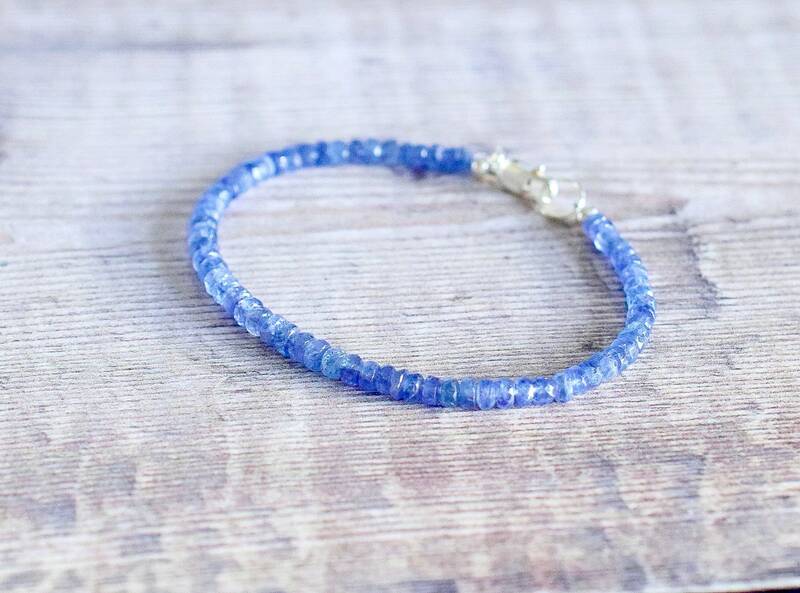 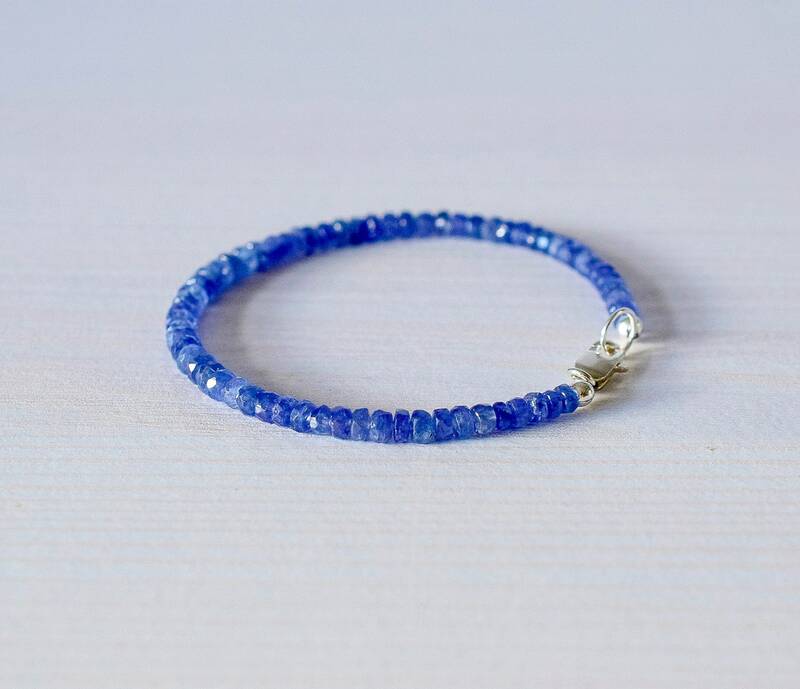 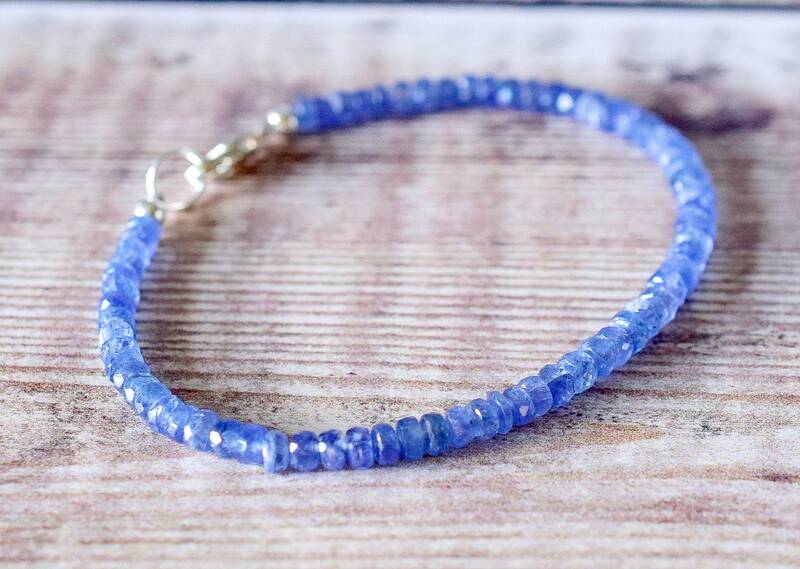 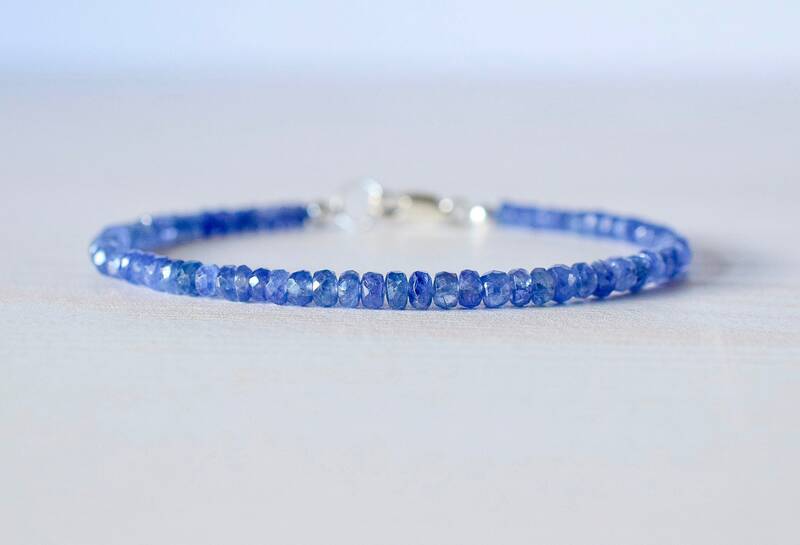 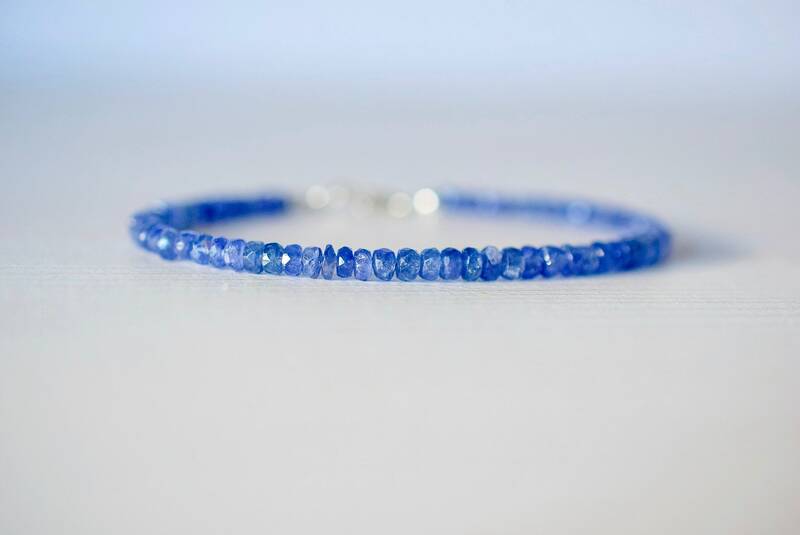 The Sapphire rondelles are strung on fine beading wire that drapes beautifully, making this bracelet very comfortable to wear. 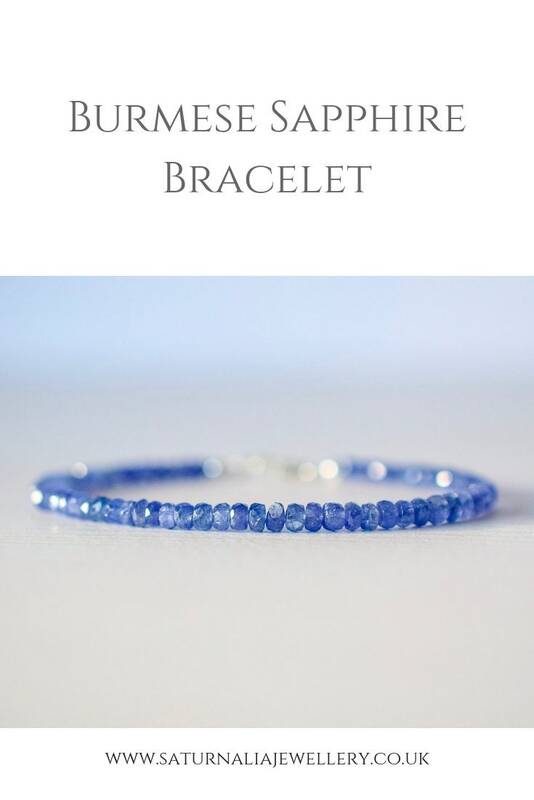 Your bracelet will arrive in a beautiful Saturnalia Jewellery box.